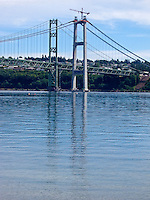 I live on the Kitsap Peninsula in Puget Sound and when leaving the peninsula I have a few choices - a land route, ferry, or by bridge. 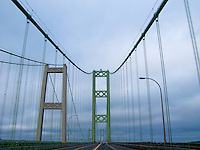 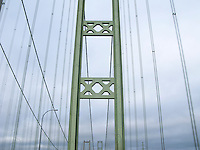 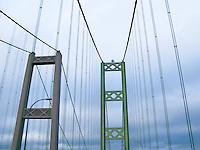 Going south to Tacoma, the route crosses the Tacoma Narrows served by two suspension bridges. 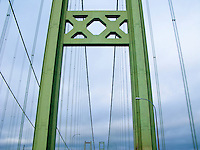 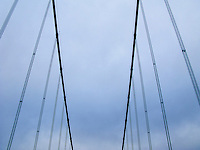 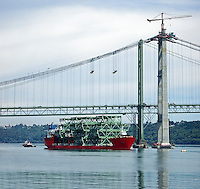 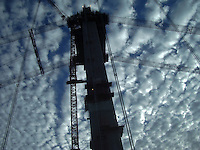 I photograph the bridges often and am adding some of those images as I make them as well as construction images of the new bridge opened to traffic in July of 2007.